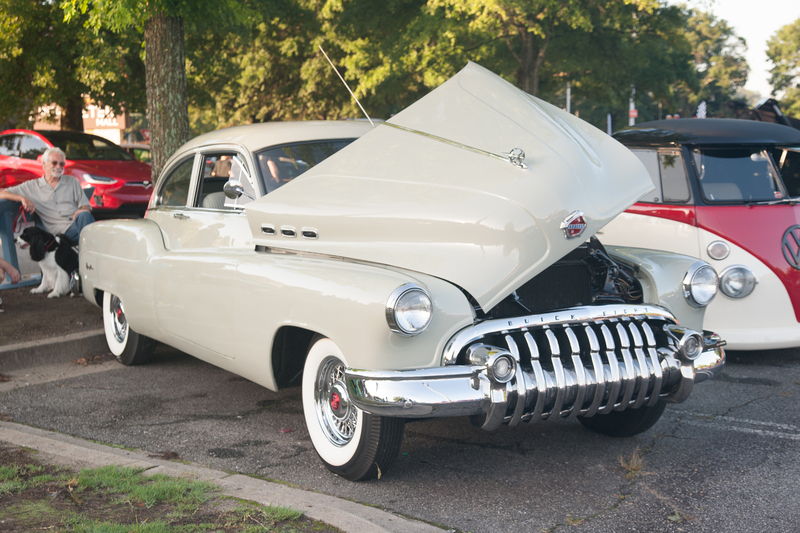 For more than a decade, the folks behind Atlanta's Caffeine and Octane (C&O) have been putting on events and meet-ups that embrace car lovers of all backgrounds. 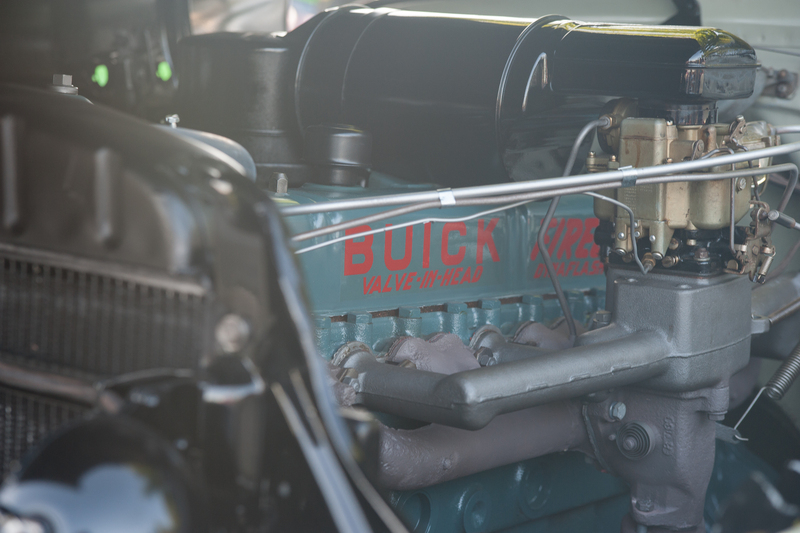 Like clockwork, the first Sunday of every month thousands of auto enthusiasts show up with their cars rain or shine, awarding the large-scale event enough popularity to earn its very own TV show on the NBC Sports Network. 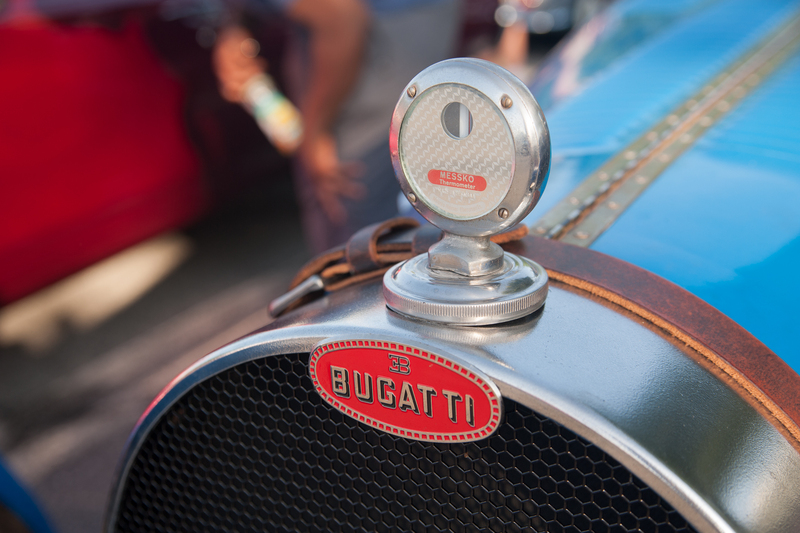 On the TV show, hosts Skip Smith, Bryan Fuller, and Rickey Gadson roam Caffeine and Octane events to pick their favorite cars and have conversations with the owners. The program also includes segments featuring on-the-road interviews with notable people in the car community. It recently had an episode featuring Porsche trendsetter Magnus Walker and his 1974 911 Carrera in the north Georgia mountains. The Drive had the opportunity to pick the brains of C&O CEO Bruce Piefke, car collector and TV host Skip Smith, and executive producer Ed Coughlin. 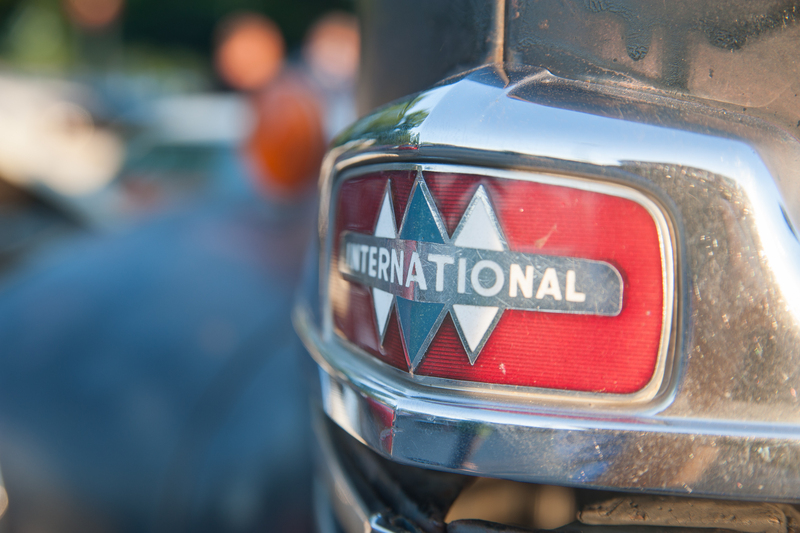 There, in the midst of vehicular craziness, we learned about the provenance of the largest weekly car gathering in America and some of its lesser known facts. The Drive: How long have you been running the show and what inspired you to get into it? 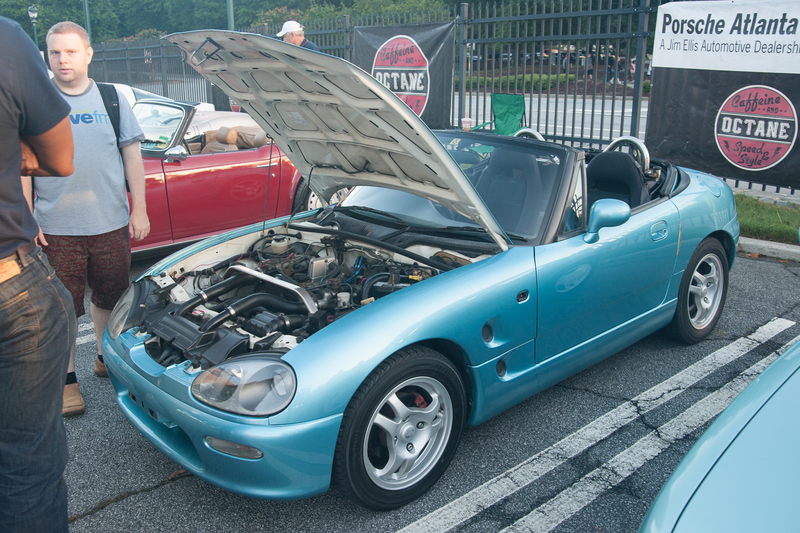 Bruce Piefke: Caffeine and Octane began in 2006 [so 12 years]. It was a retired Delta Airlines pilot and a few other friends including Skip Smith, one of the hosts of the TV show [who got him into it]. They just wanted to get together and hang out with their buddies, and you know car people are connected, so it just organically grew before anybody started hosting it on the Internet. We grew into this mall we're currently at. Actually, we used four or five other locations before we got here about four years ago. Once we got here we were at probably at eight- or nine-hundred cars, and now it's grown to over 3,000. This has turned it into the largest monthly car show in America. Do you run shows through the winter? Yes. True enthusiasts come out rain or shine. We are in the south, but we've been out here when it's been in the teens before. You know they will come out. It's kind of a badge of honor. 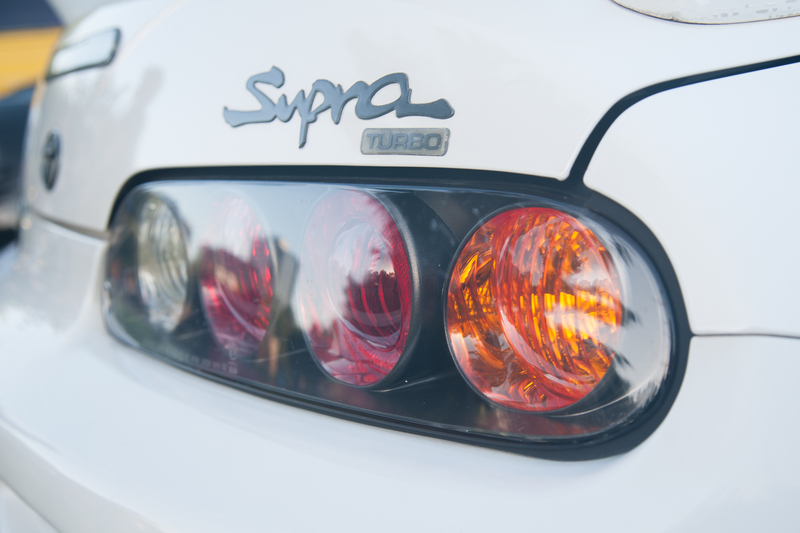 Are there any particular cars you like to see at the show? What I love most about Caffeine and Octane is the variety. I love that you'll have a Corvette next to a Volkswagen, next to a Morris Minor, next to a Dodge Dart. The variety is what makes it great. We're also about the stories behind the cars. It's the camaraderie, it's the friendships that are made here that are what's most important. There are amazing cars everywhere, but it's the people that make the show. The Drive: First of all, you're known for being a car collector, but do you tend to focus on one genre in specific, or are you all about all kinds of rides? Skip Smith: I'm more into classics, and then the modern cars. I appreciate the new technology. I think it's very interesting, and I like the speed. Like a lot of older guys, I'm into the stuff that excited me when I was a young man. Early on I concentrated on Jaguars—I was infatuated with them. Right before I got my driver's license, I got to drive an XK 120. The young lady that owned the car taught me how to drive a cloverleaf and drifted. From that day on I was hooked. The other cars that I really have a passion for are Cadillacs from the mid-'50s through mid-'60s. Yeah. They just made a statement, and they were big and luxurious. It showed the American design capabilities. Other cars that really interested me were the pre-war Packards from around 1931 through 1938, then post-war the Packard Caribbeans. When you're out here filming the show, is there a particular type of car that you look for? I'm always looking for something that I've not seen before, or I haven't seen in years. I love really good craftsmanship. I love it when I see a father and a son that worked on it together. That's what's going to continue this hobby. When a guy and his son, or a guy and his daughter, have worked on a car and they bring it out here for the first time. To watch the son or the daughter next to the car, it's really a lot of fun. The Drive: What's do things look like for you when you're hustling around the show trying to get things done? Ed Coughlin: We run four full crews and three talents, each talent has a full crew when they're going to find a favorite car, or finish up a story. Do you have people that scout around to see what's interesting? Yeah, we do. We also have Bruce and we have TJ. TJ's kind of the gatekeeper, so he'll tell us, 'Three DeLoreans just came in and they all have flux capacitors.' He'll point us in directions. We can never see it all, but I do a continuing TV show, so it's kind of good to never see it all. At the same time, I'm also looking for interesting people, someone who's comfortable on camera, someone with a story behind their car. Even right now, I'm looking over your shoulder going, 'That's cool, that's cool, that's cool.' Producing TV shows and motorsports [in the past], I used to have to look for diversity. I don't have to look for diversity at this show. I think it's the coolest thing, it's a variety of color, male, female, young and old. The network loves that. The diversity of cars and people is by far the one characteristics that separates C&O from similar events across the country, in addition to the sheer size of it. For those interested in checking it out in person, you can visit the Dunwoody Mall just outside of Atlanta at 7:00 am on the first Sunday of every month. If you're not a morning person, you can always just tune in and watch the show on NBC Sports.